Come by booth 629 to win 50% off a EUROCOM Panther 5SE Mobile Server! Come visit Eurocom at the VMware Partner Exchange on Feb 10-13 at the Moscone West, San Francisco, California. While there you will have the opportunity to enter a draw to get 50% off a Eurocom Mobile Server that you can go online and configure your own custom built system. As an exhibitor at the VMware Partner Exchange, I would like to take this moment to personally invite you to our booth - #629. If you are interested in scheduling a meeting with our team, please let me know. I would be glad to sit down and show you our Eurocom Mobile Server solution. 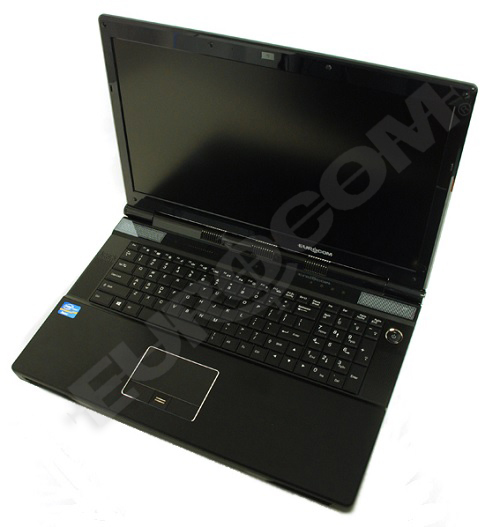 The Eurocom Mobile Server is a heavy duty, energy efficient, Intel Xeon based system with an all in one, heavy duty design with integrated display, keyboard, touchpad, built in UPS and an external power supply. It supports a variety of Server operating systems including VMware vSphere Hypervisor 5.5, Windows Server and Red Hat Enterprise Server Edition 6.4. It is capable to support multiple storage devices in a variety of RAID configurations including RAID 0,1,5,10 to provide both redundancy or performance as required by the user. The Eurocom Mobile Server is the building block of modern and mobile IT infrastructure because of its fast and easy deployment. You can prepare a complete server setup at your location and then deliver and install it at your customers site without downtime associated with traditional servers. There is NO Server Room required to install our Mobile Servers so they can be used them whenever rapid deployment is required for both temporary and permanent usage. A Eurocom Mobile Server makes the perfect server platform for starting new business or new operations. It can be used as a backup server for mission critical applications or using it as a test platform for running new applications before moving them to production servers. It is ideal for software and application development on the go, for setting up teams outside of your main location and running consulting operations running multiple virtual machines. The applications are immense and the capabilities are nearly endless.